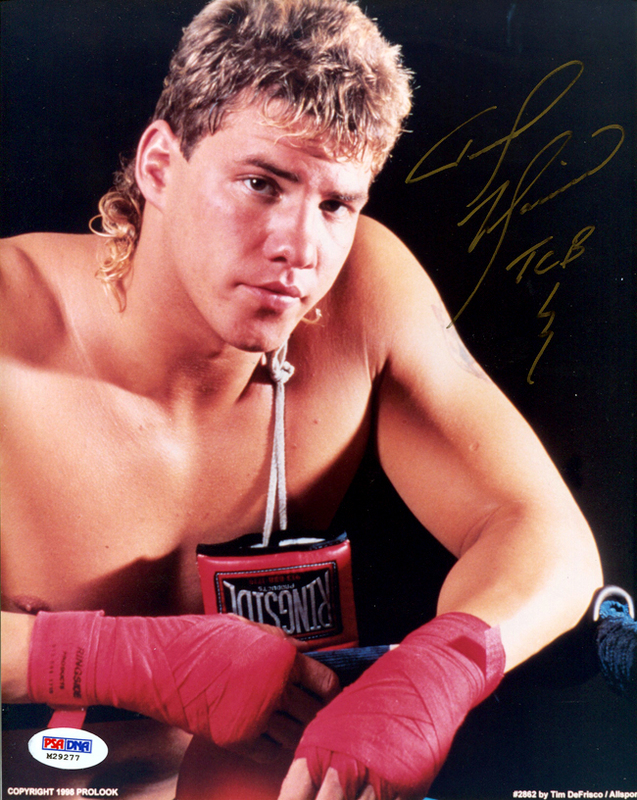 These photos have been personally hand signed by Tommy Morrison. Each photo includes authentication by PSA/DNA. Tommy Morrison was a professional heavyweight boxer whose career lasted from 1988-1996 when he was forced to retire after testing positive for HIV. Morrison only lost 3 fights, winning 49 in the duration of his career. Morrison died in 2013 at the age of 44.